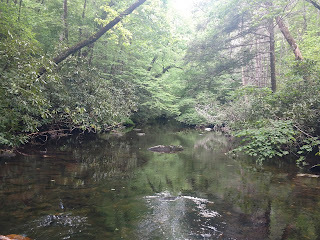 If you are not from the rural Appalachian mountains then the name of my blog might seem a little strange, what in the world is stickbait or yellerhammers? I grew up before the internet was even dreamed of, telephones were attached to the wall or on a small table in the hallway, television consisted of ABC, NBC and CBS, if you were lucky enough to get all three on the outdoor antenna on top of the mountain behind the house. As a result, there was a good bit of lore and word of mouth terminology, basically names were made up. As a young boy one thing sure to perk my ears up and get me to listening was "secret" unfailing ways to catch fish, stickbait and yellerhammers fell into this category. 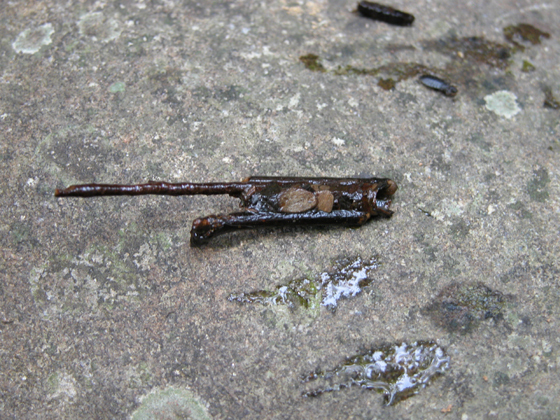 a small, grub-like worm that live in the local streams and makes a house for itself out of small sticks. It is perfectly camouflaged and it provided a safe space for the worm to hide if predators threatened. It also provided fantastic natural baits for young boys to use to catch, most of the time illegally, trout. 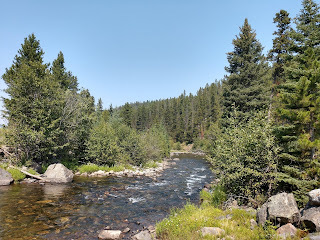 You see you simply found a small eddy in the stream where sticks and litter accumulated, grabbed a handful and put it up on the bank or a rock and sorted through it for the bait. You could put several in your shirt pocket or a small bait can then when you were ready to fish you peeled the sticks off and threaded the worm on your hook. It was natural to the stream and the trout can barely pass it up, and in most places it is illegal for that reason. 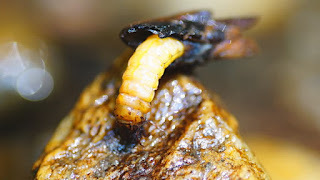 Now, of course I know that this is the larvae form of the caddis fly, one of the most important trout foods in our streams, and instead of using the actual larvae I tie flies to imitate it but it will always be stickbait to me and has provided many fine streamside meals of fresh fried trout. A yellerhammer is actually a type of bird, a woodpecker to be specific, the correct name for them is the Yellow Shafted Northern Flicker. 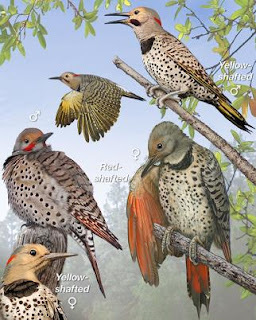 According to southern appalachian lore, a simple fly tied from the feather from one of these birds was particularly deadly and trout would bite them when they would not touch anything else, but there is a catch. You see according to lore, these birds were highly protected and if you even got caught in possession of a fly tied with yellow hammer feathers then you went straight to jail. I have never fished with an actual fly tied from a feather from a yellerhammer's wing but I have fished with one tied from other, legal, yellow feathers and they will catch fish, but to my disappointment they are not foolproof as the old timers told them to be. Stickbait and Yellerhammers were such a part of my youth growing up where I did that I thought it would be a fitting name for the blog. On a future post I will tell Y'all about speckled trout, the king of all mountain trout, even though in fact they are not trout at all but char, but as I said that will be a future post.